Police say the “senseless” and “pointless” murder of a 24-year-old man in Scarborough’s Chester Le neighbourhood earlier this year was the result of an ongoing feud between residents of two adjacent housing complexes. Samatar Farah was found dead on Chester Le Boulevard, near Finch Avenue East and Victoria Park Avenue, at around 8 a.m. on April 15. Police were initially called to the scene at around 1:30 a.m. for reports of a shooting, but did not find any victims. It was only after a resident walked through the area several hours later when was Farah’s body spotted. Speaking to reporters Thursday, Homicide Det. Jason Shankaran said the probe into Farah’s death led investigators to discover that a shooting occurred on the same block just two days earlier. “I can’t speak specifically to the feud, to the specific nature of it, but what I can tell you is obviously these are two communities that are priority communities. Within these communities, there are individuals residing in both that had disagreements with each other,” he said. 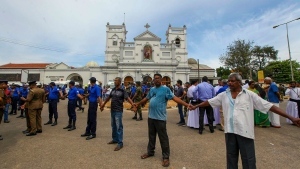 Shankaran said that two suspects, who have since been apprehended, along with two who remain outstanding are all connected to the Parma Court housing complex. Farah’s body was found on Chester Le Boulevard. “On April 15, our family became part of the many families who lost a loved one to a senseless murder,” the statement reads. “Samatar was 15 days into his 24th birthday and months from his graduation. He was loved by so many for his genuine and kind-hearted nature. He was a devoted son, brother, uncle, friend and partner." “I’ve walked these communities myself as a uniformed officer. It’s common knowledge for police officers all over this city that it’s a very small percentage of people who cause problems and violence,” he said. On Thursday, after 11 different search warrants were executed in Toronto, Scarborough and Ottawa, police arrested two suspects identified as 20-year-old Taufiq Stanley and 25-year-old Trevor Barnett. Stanley is facing a total of nine charges, including first-degree murder, attempted murder and possession of a firearm. Barnett is facing three counts of attempted murder in connection with the shooting two days prior to Farah’s murder. In addition to the arrests, police have issued two Canada-wide arrest warrants for suspects identified as 23-year-old Alexander Fountain and 23-year-old Shaquan McLean. Fountain is wanted for three counts of attempted murder and one count of first-degree murder. McLean is wanted for three counts of attempted murder. “I ask Mr. Fountain and Mr. McLean to seek out counsel and turn yourselves in as soon as possible, not only for the safety of the communities but for the safety of yourselves as well,” Shankaran said. Anyone with new information about the investigation is being asked to call police or Crime Stoppers. Samatar Farah, 24, is shown in undated photo. 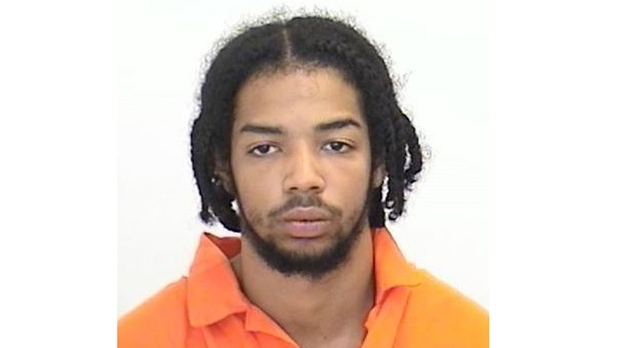 Shaquan McLean, 23, is pictured in this photo released by Toronto police. 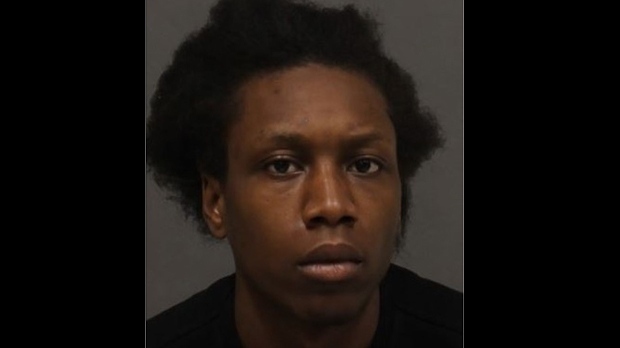 Alexander Fountain, 23, is seen in this photo released by Toronto police.